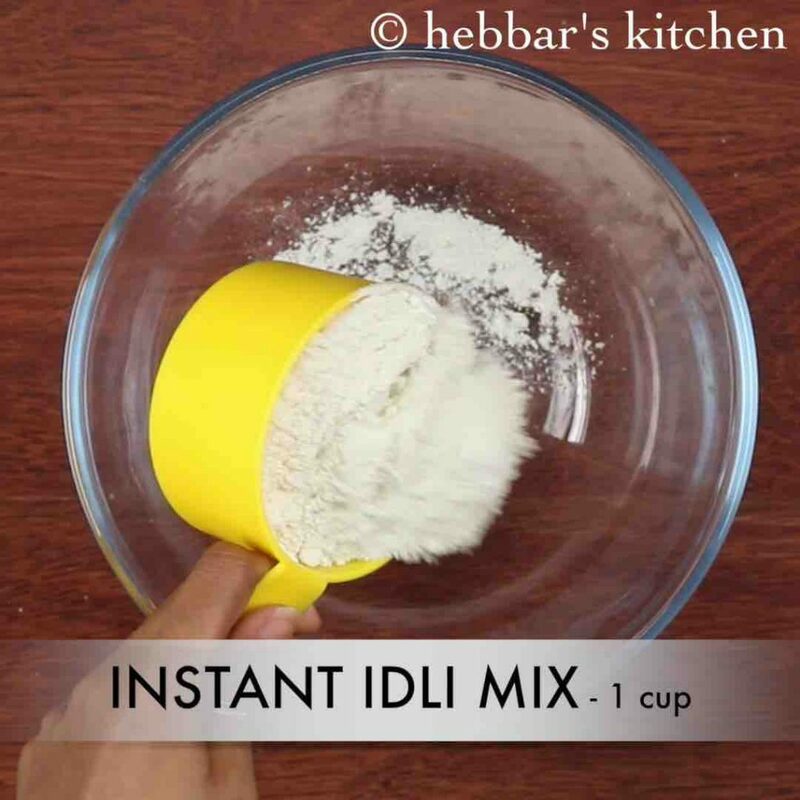 idli mix recipe | instant idli mix | instant idli with idli mix with detailed photo and video recipe. 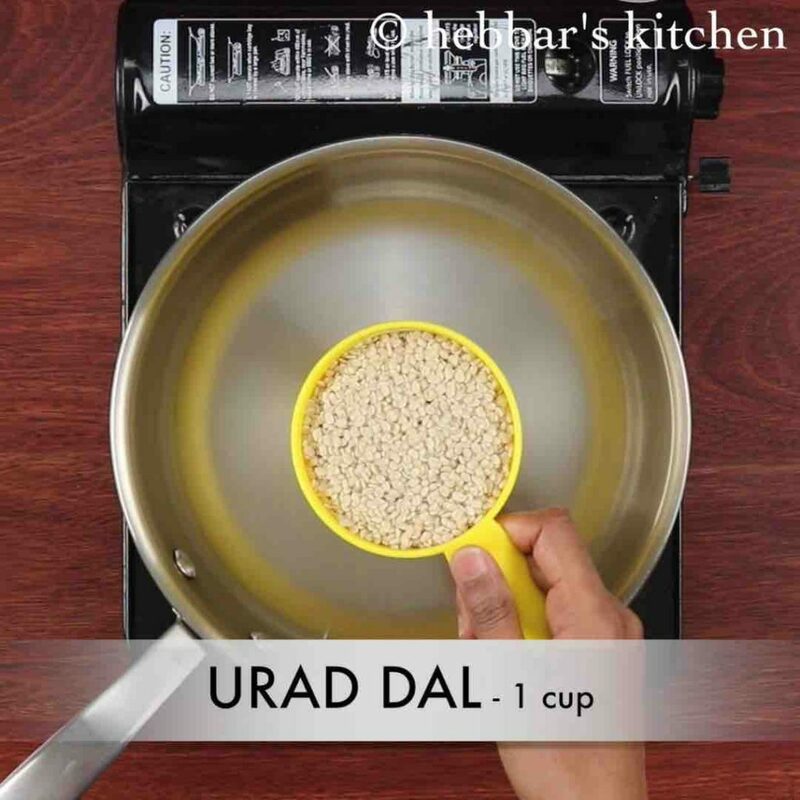 a easy and quick way to prepare soft and fluffy idli with the premixed rice and urad dal powder mix. 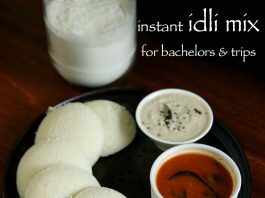 instant idli with idli mix can be really handy for young bachelors or working couples on a busy morning. 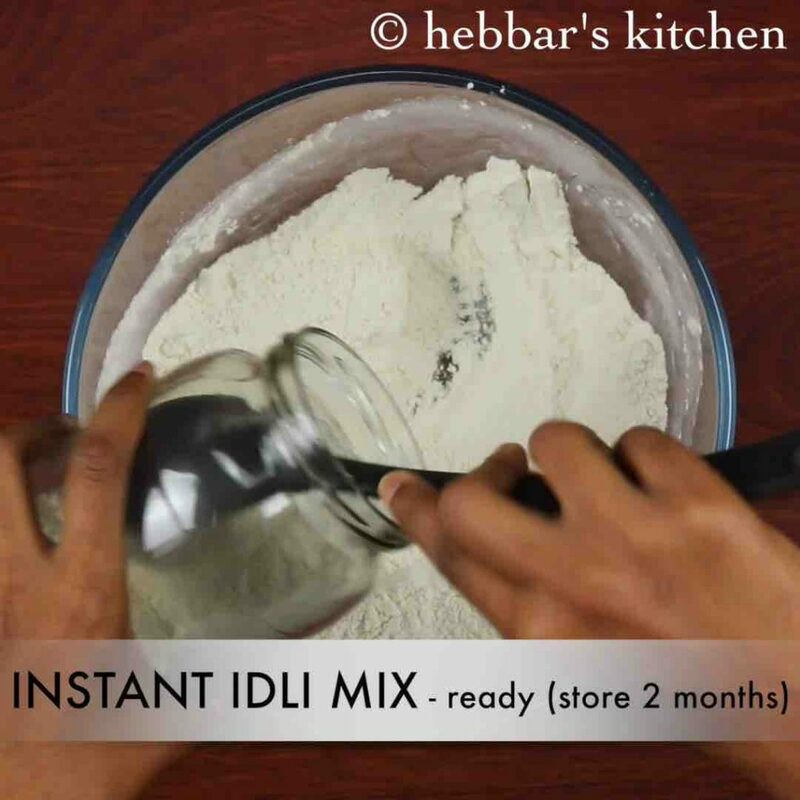 idli mix recipe | instant idli mix | instant idli with idli mix with step by step by step photo and video recipe. an instant and jhatpat way of preparing the traditional south indian breakfast delicacy in less than 15 minutes. it can ideal when you have less time to prepare your healthy breakfast. or have strong craving for authentic breakfast with no mood to have the hassle of grounding the idli batter. 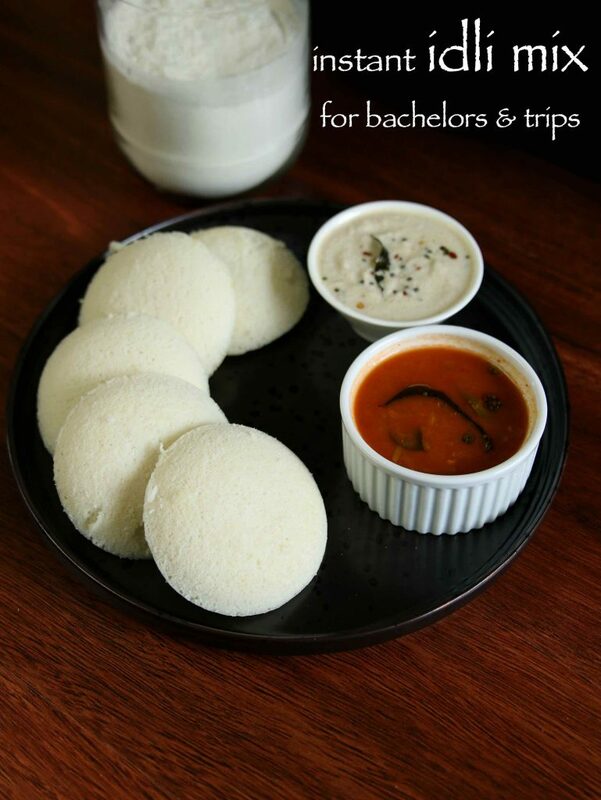 these idli’s can be relished with the choice of your chutney and sambar. i have already shared the instant masala dosa mix and i was receiving good number of requests for instant idli mix recipe. this recipe is prepared very similar to it but with different proportions of rice and urad dal. also i have dry roasted the rice flour and urad dal before mixing it together. the whole idea of dry roasting is to remove all moisture for better longevity of the idli mix recipe. in addition i have added thin poha which i have also dry roasted and powdered before mixing it rice and urad dal combination. poha is added for the softness and fluffy idli’s. lastly, i have added eno fruit salt for hastening the fermentation process. 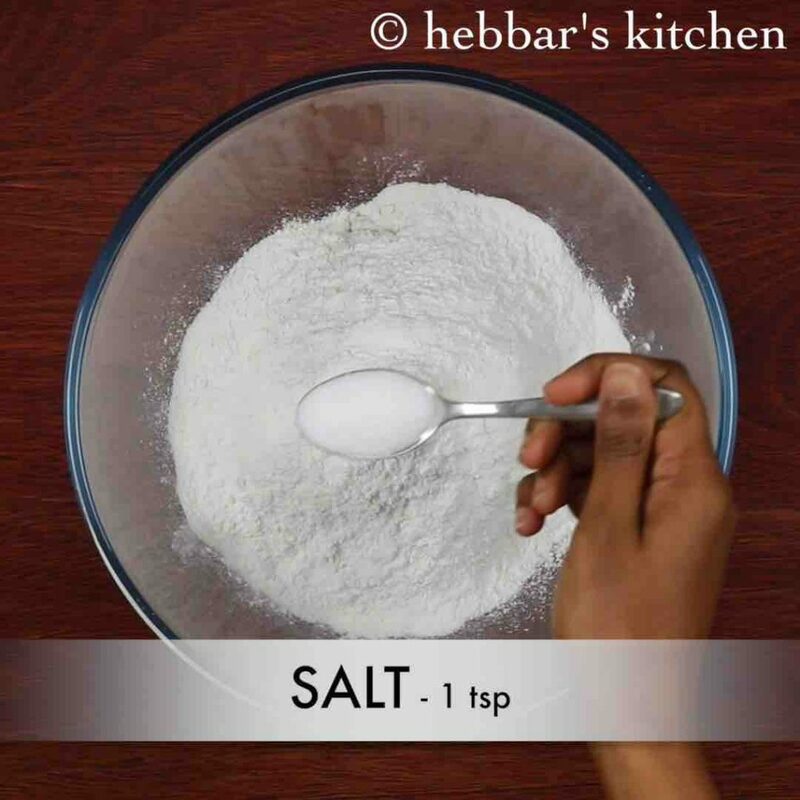 furthermore, some important and key tips and recommendations for a perfect instant idli mix recipe. firstly, i have used fine rice flour in this recipe, which can be replaced with roasted and grounded idli rice too. also, this recipe can be extended further by adding idli rava in place of rice flour. 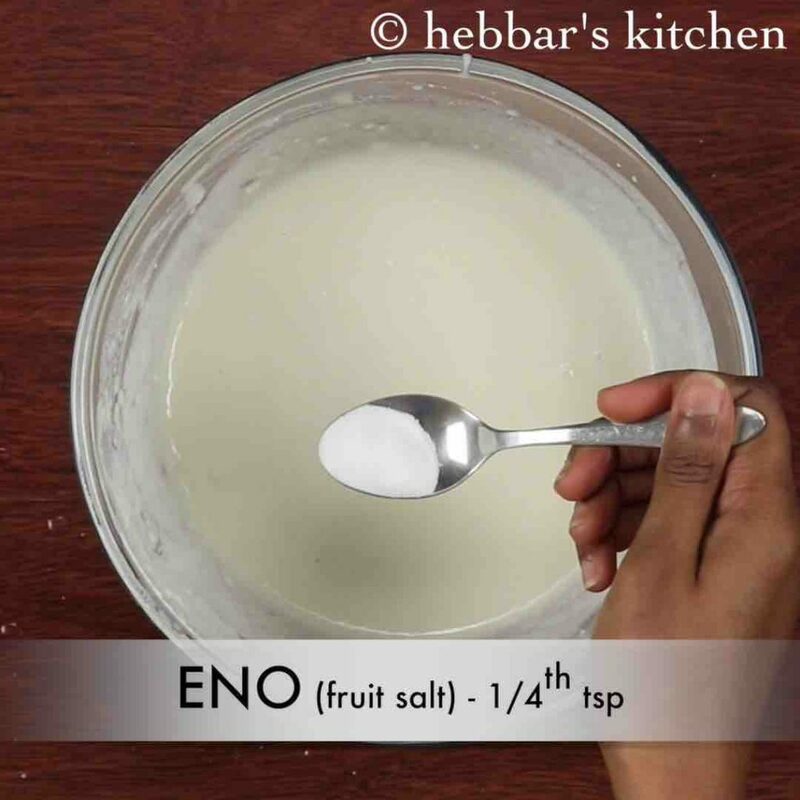 secondly, i have added eno fruit salt to hasten the fermentation process, whereas baking soda can also be used as alternative. lastly, store the idli mix in a moisture free and refrigerate for long shelf life. if stored in a air tight container, it should long for minimum of 2 months. firstly, dry roast 1 cup urad dal and ½ cup thin poha. 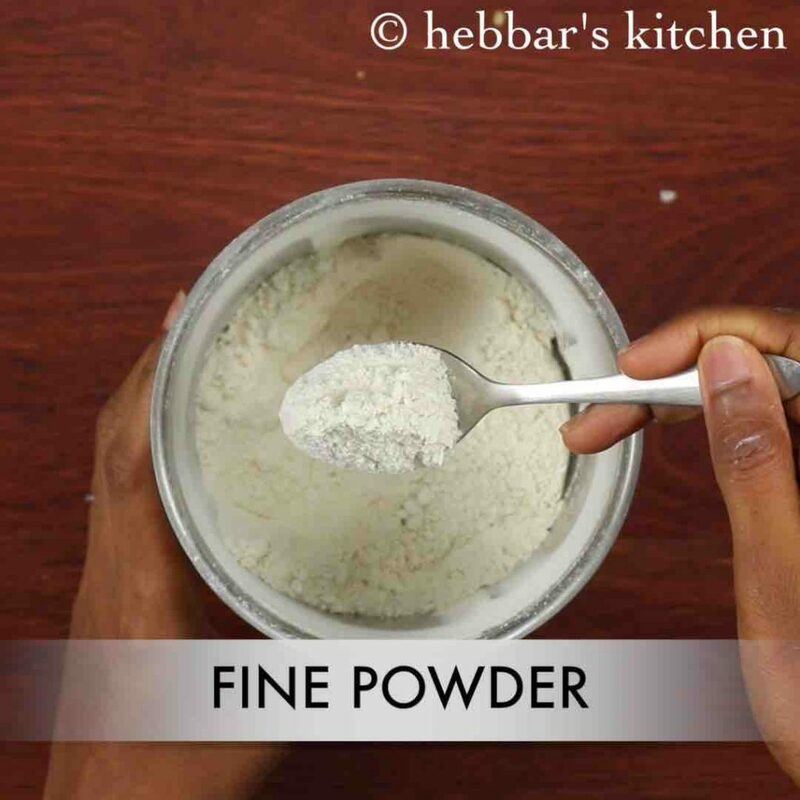 blend to fine powder without adding any water. furthemore, dry roast 2 cup rice flour on low flame. 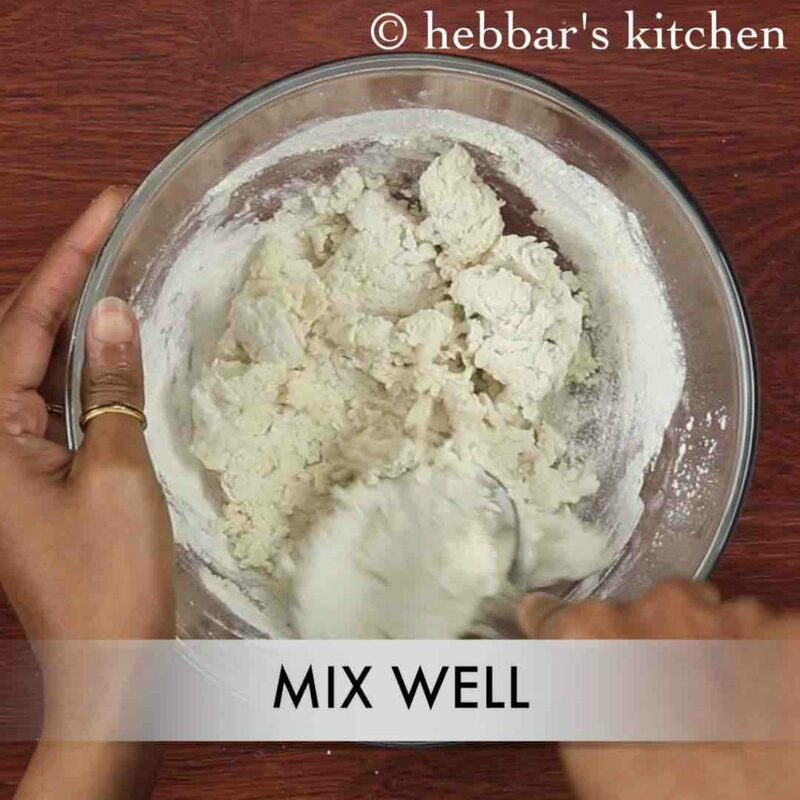 combine the rice flour along with ground urad dal and poha mixture. also add 1 tsp salt and combine well. instant idli mix is ready, transfer to a airtight container and can be used for atleast 2 months. to prepare idlis from idli mix, take a cup of prepared instant idli mix. 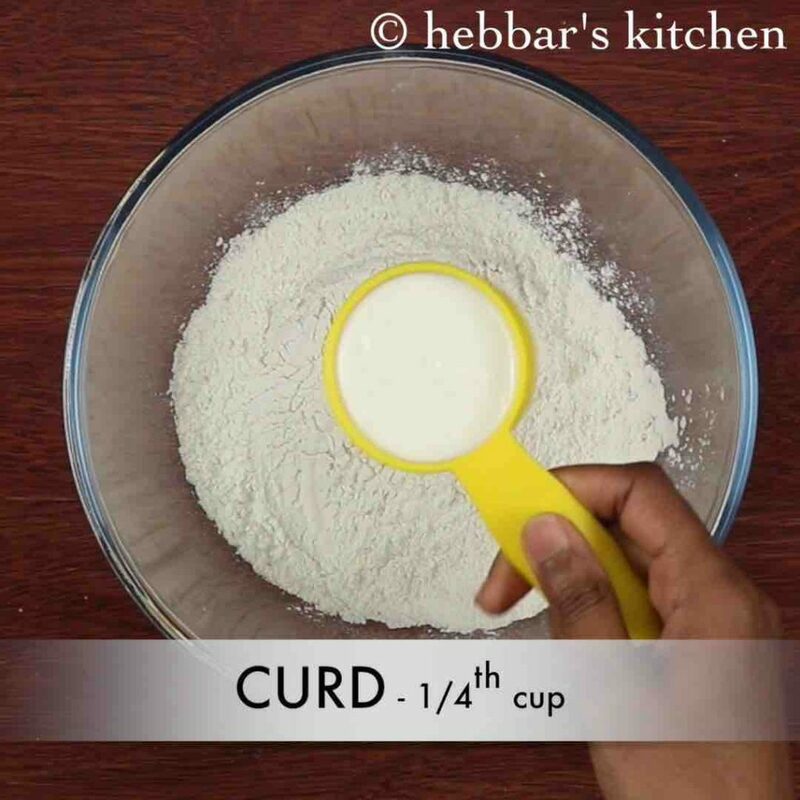 add in ¼ cup curd and ½ cup water. combine to for a thick paste. further add another cup of water and mix to form thick batter. 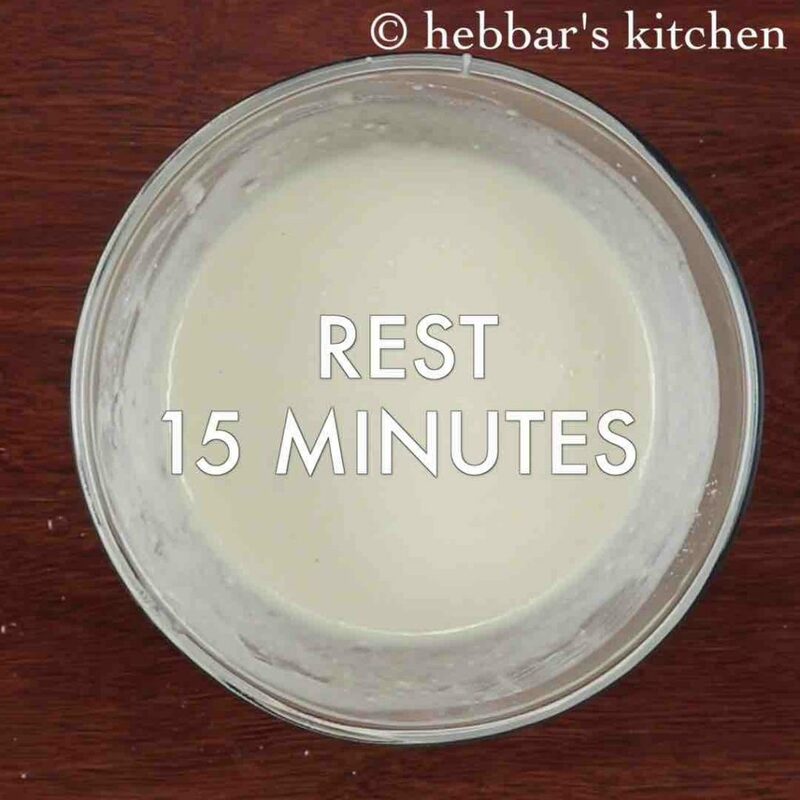 allow it to rest for 15-30 minutes. now add ¼ tsp eno fruit salt or pinch of baking soda and mix lightly. 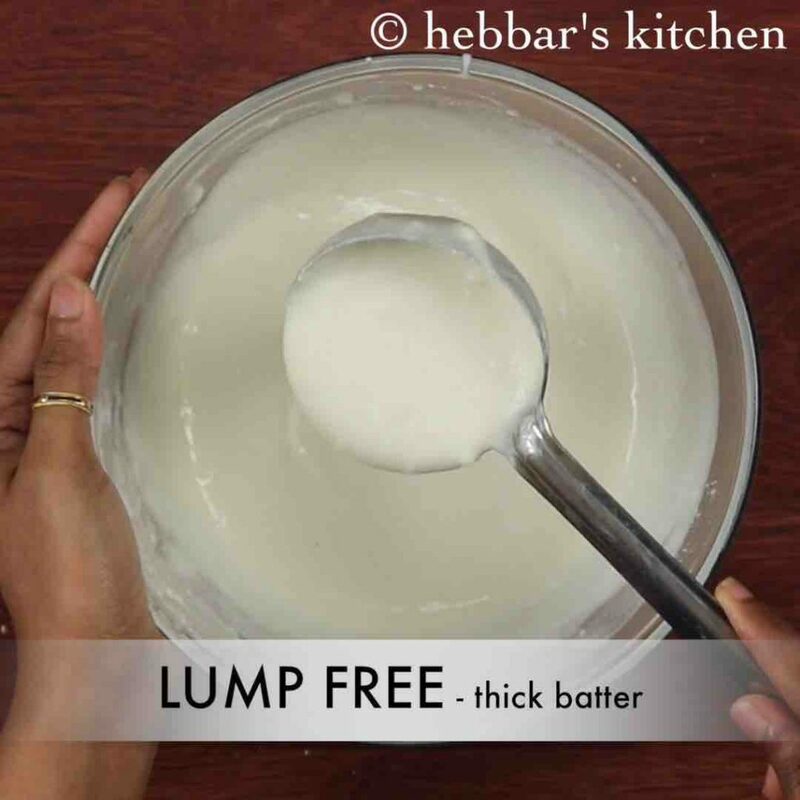 pour the batter immediately onto greased idli plate. 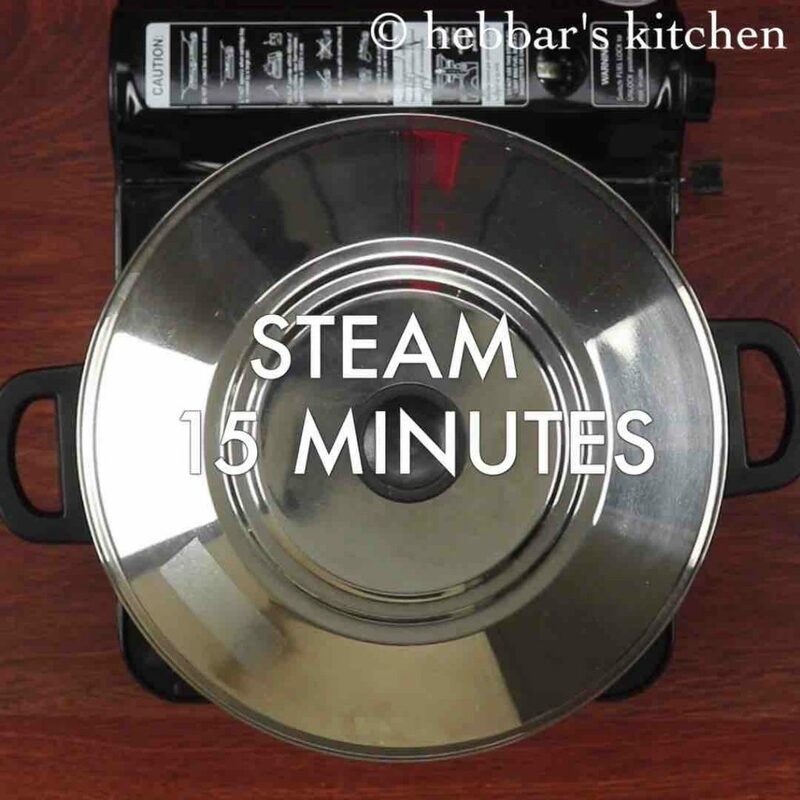 steam them on medium flame for 15 minutes or till the idli are cooked completely. 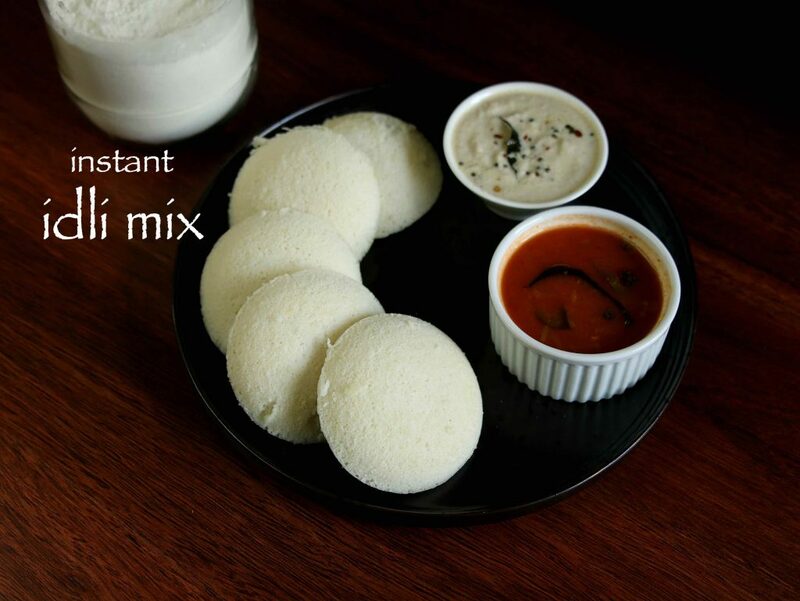 finally, serve soft idli from instant idli mix along with chutney and sambar. firstly, dry roast 1 cup urad dal on medium flame for 2 minutes. make sure the urad dal is clean or organic, else rinse in water and dry on a cloth for a day. 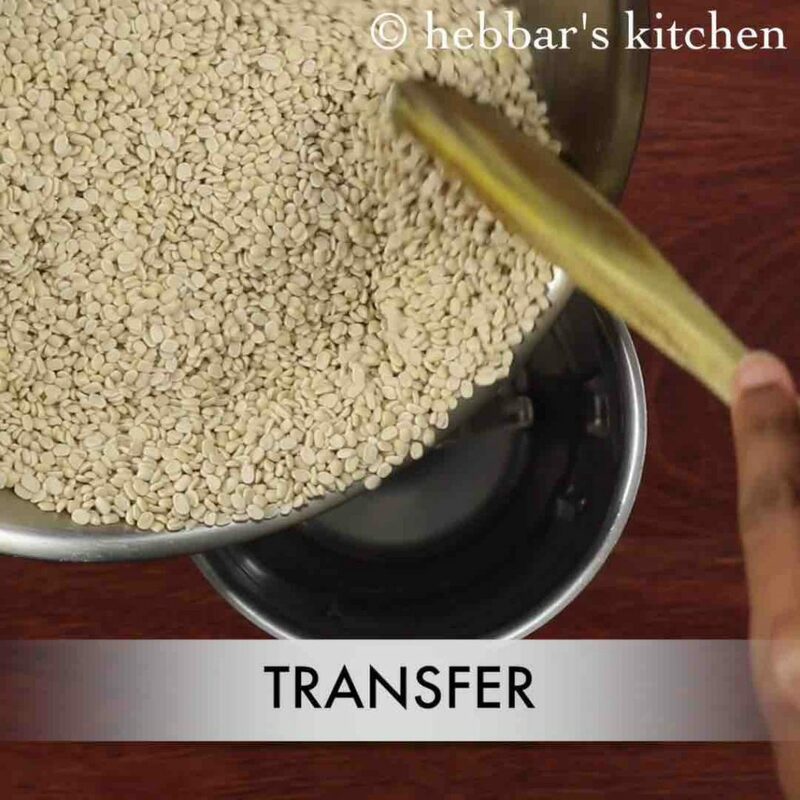 once the urad dal looses its moisture, transfer to mixi jar. further dry roast ½ cup thin poha for a minute. 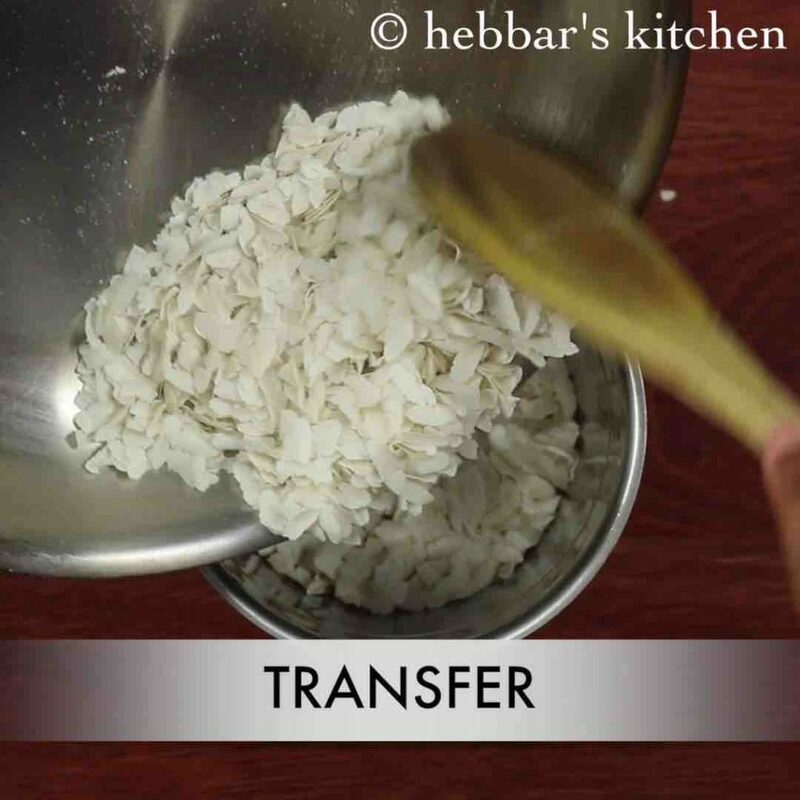 once the poha turns crisp, transfer to mixi jar. 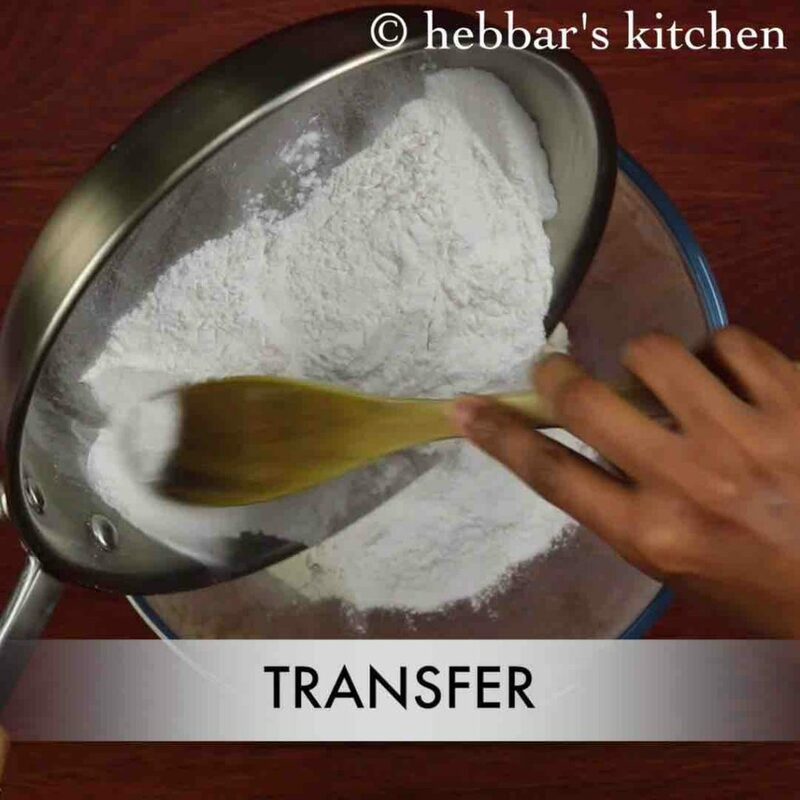 now blend to fine powder without adding any water. 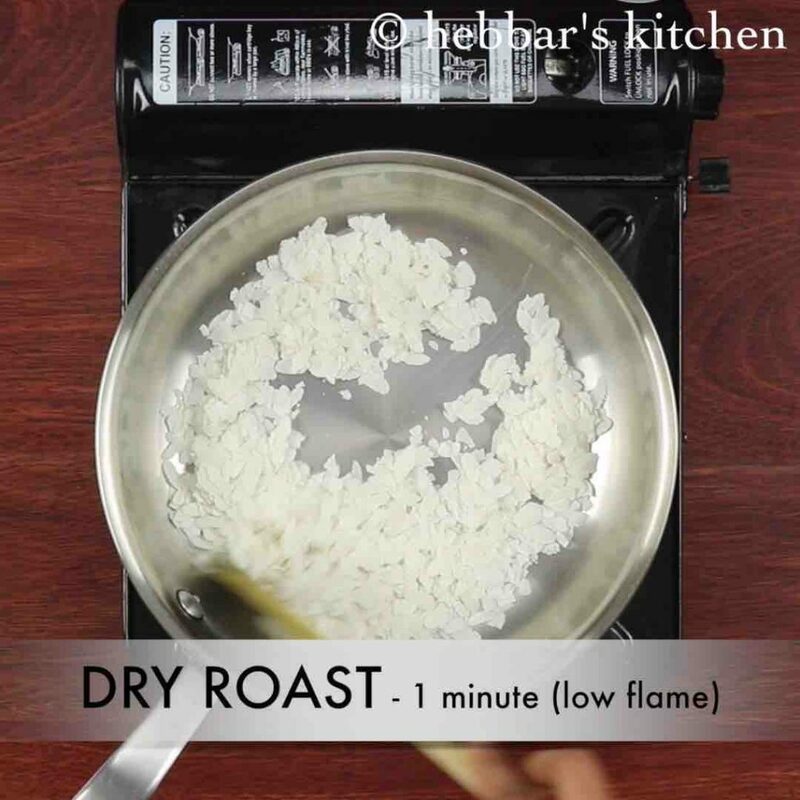 firstly, dry roast on low flame to remove moisture. else dal might burn. also, add eno fruit salt just before steaming to make soft and spongy idli. additionally, to prepare soft and spongy idlis, always steam on medium flame. finally, instant idli mix stays good for atleast 2 months and can be stored for upto 6 months. Do we just rinse the dal or soak it overnight? i have used organic dal so its clean. if the dal contains dirt then rinse and dry overnight. did you add eno fruit salt just before streaming??? Thank you very much for this easy recipe. Amazing recipe…idlis came out real soft and fluffy. very convinient and easy to make .All your recipes are unique and I love to try them out. 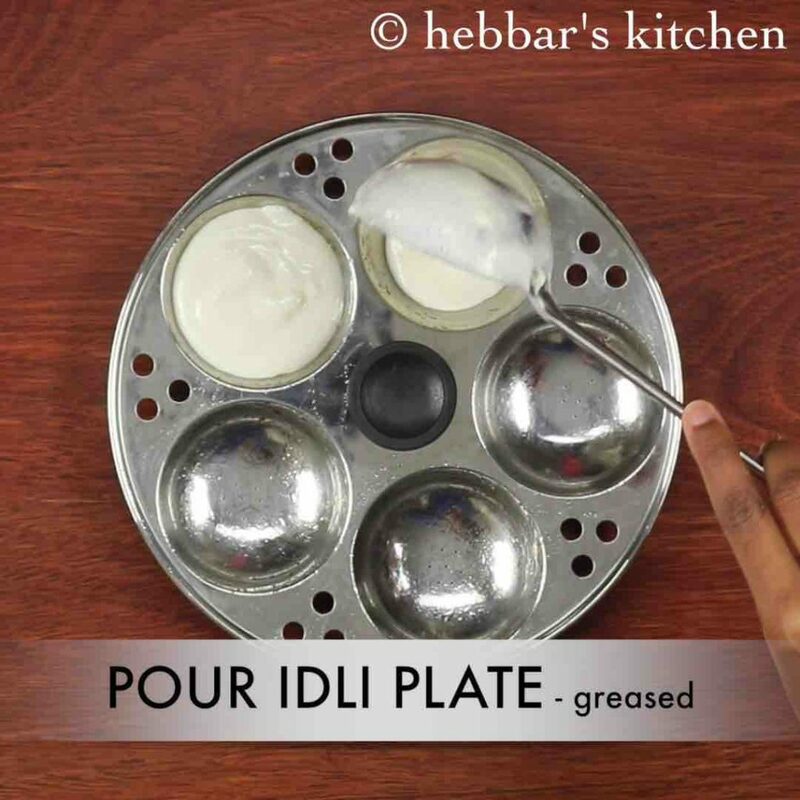 The idlis will not turn sticky.. hope you have greased idli plate? Can I use urad flour instead? 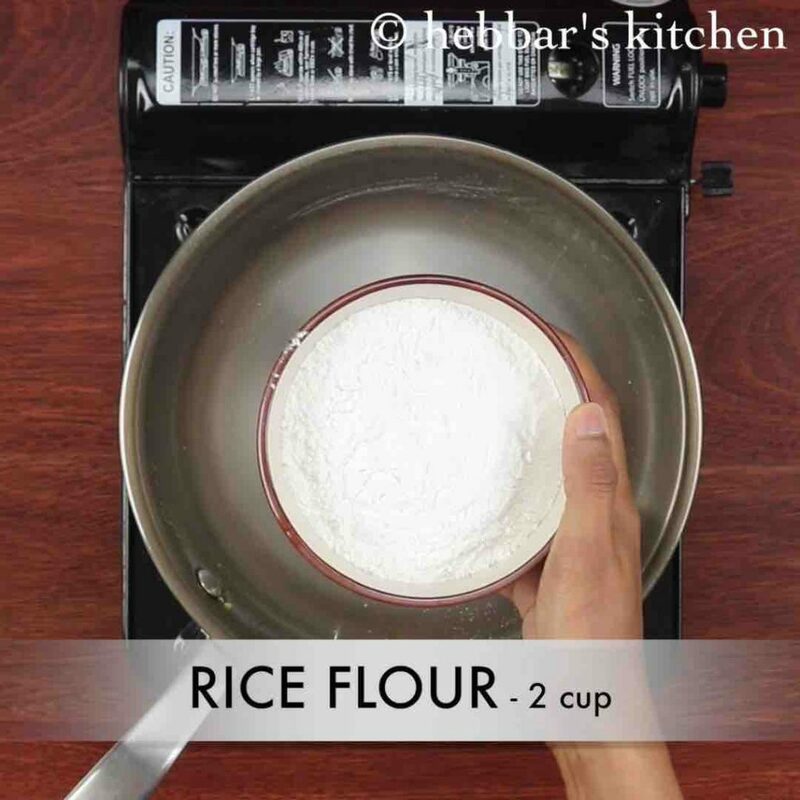 If yes, What would the proportion be – urad flour to rice flour? I love ur recipes, u make it look so easy to do. Thankyou.